Our facility offers both detailed two and three dimensional digital images. 2D imaging, also known as Pan Oral Radiographs, provide an image of all of your teeth and surrounding jaw bones. This enables your dentist to see levels of supporting bone, tooth decay and positioning and angulations of wisdom teeth. This state of the art technology uses the lowest possible radiation dosage, delivering uncompromising excellent picture quality. 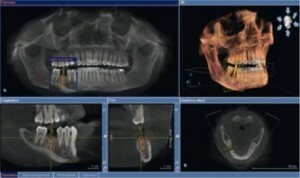 The art of dentistry is progressing rapidly and 3D Imaging enables dentists to continuously remain at the forefront of diagnosing and treatment planning using the latest techniques. 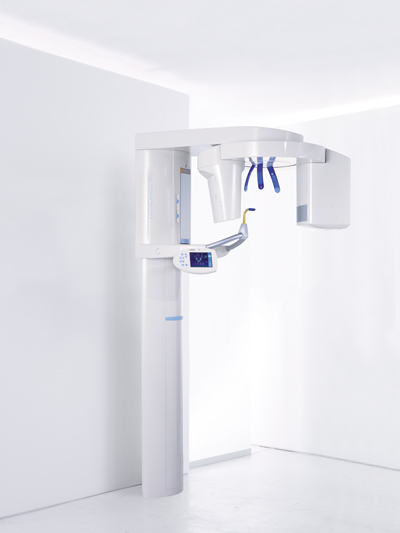 Cone Beam 3D Imaging provides your dentist with vital information such as bone structure and nerve canal location enabling your dentist to select the best location for your implant or implants prior to surgery, whilst enhancing clinical safety and accuracy of treatment plans for each individual patient. 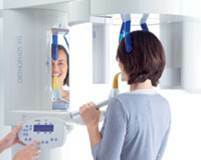 As the only clinic in Ayrshire to have a Cone Beam VT Scanner, our 3D imaging suite is available by referral from all other dental practices to ensure that all patients are getting access to the best possible investigation for their dental treatment locally without having to travel to Glasgow or further afield. Images and scans are available immediately to discuss and view with the dentist, alternatively they will be downloaded to disc and forwarded to the referring dentist on the same day. Our latest technology allows us to tailor how small or large a scan we take whilst minimising the amount of radiation you receive.